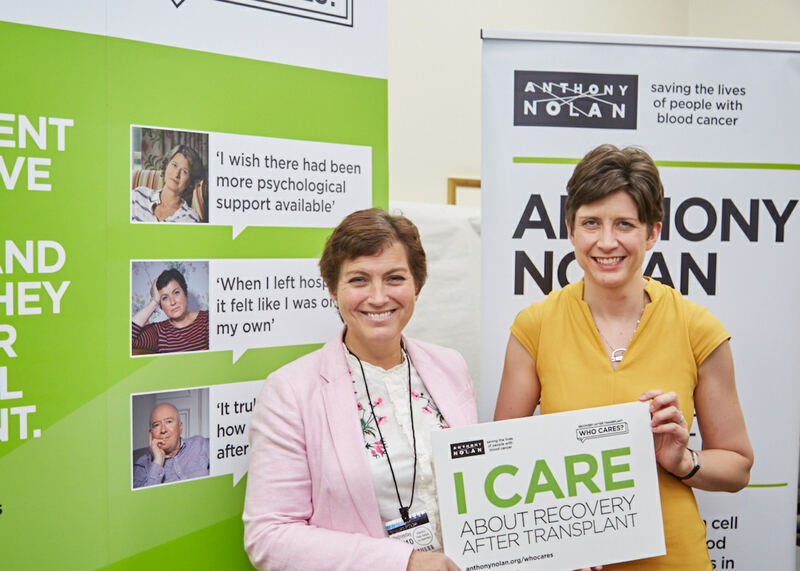 Alison Thewliss, MP for Glasgow Central, has backed a campaign by blood cancer charity Anthony Nolan, calling for better care for people recovering from a stem cell transplant. Anthony Nolan is calling on health commissioners across the UK to urgently review the care arrangements they have in place for transplant recipients once they leave hospital, to ensure that patients and their families can continue to access vital support and services. At an event in the House of Commons on Wednesday 11 October, Alison Thewliss MP heard from patient representatives about how difficult recovery can be without appropriate support. “A number of my constituents have got in touch to bring this issue to my attention, so I know how important it is for people in Glasgow that stem cell transplant patients and their families receive appropriate support. “It’s vital that health commissioners carry out an urgent review into the long-term care that stem cell transplant recipients need throughout their recovery, so we’re delighted to have the support of Alison Thewliss MP in raising awareness of this issue in Parliament and in their constituency.